Greek passenger shipping company Minoan Lines has been awarded as the “Top Growth Operator” for 2018 by Direct Ferries, a leading ferry demand platform and online travel agency (OTA). The Greek company received the award during a ceremony held recently in London. Minoan Lines was honored for increasing its ticket sales during 2018 through the web platform of Direct Ferries – directferries.co.uk. Founded in 1999, London-based Direct Ferries is a multi-platform impartial ferry ticketing service, also offering a wide range of ancillary products from carefully selected partners including accommodation, train tickets and vehicle breakdown cover. 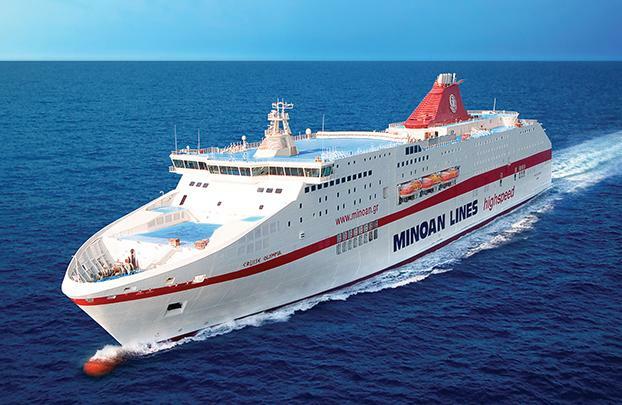 A Grimaldi Group company, Minoan Lines is currently connecting Piraeus, the Cylcades islands and Crete, as well as the ports of Igoumenitsa, Corfu and Patra with Brindisi, Venice and Ancona in Italy. “The aim of Minoan Lines is to provide its passengers with high-quality services, and turn their trip into a unique experience,” the shipping company said.